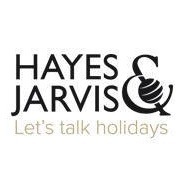 Average rating of 0.0 for all Hayes & Jarvis Travel Limited trips. Explore Nairobi (1 night) At leisure, optional excursions are available. Visit Shaba (2 nights) Mixture of landscapes. Crocodiles, plain grazing animals and leopards. Visit Lake Nakuru National Park (1 night) Breeding ground of the flamingo. Good place to see Rhino. Explore Masai Mara National Reserve (2 nights)One of the most popular game reserves. Explore Samburu (2 nights) Unique ecosytem where animal species differ to anywhere else in Kenya. Visit Lake Nakuru National Park (2 nights) Breeding ground of the flamingo. Good place to see Rhino. See Home of the endangered Rothschild giraffe. Discover Masai Mara National Reserve (2 nights)One of the most popular game reserves.